This category covers the coins minted from the defeat of Sextus Pompeius and the fall of Lepidus in 35 BC, and until the ascension of Octavian as Augustus in 27 BC. (1) Marcus Antonius 32 B.C. 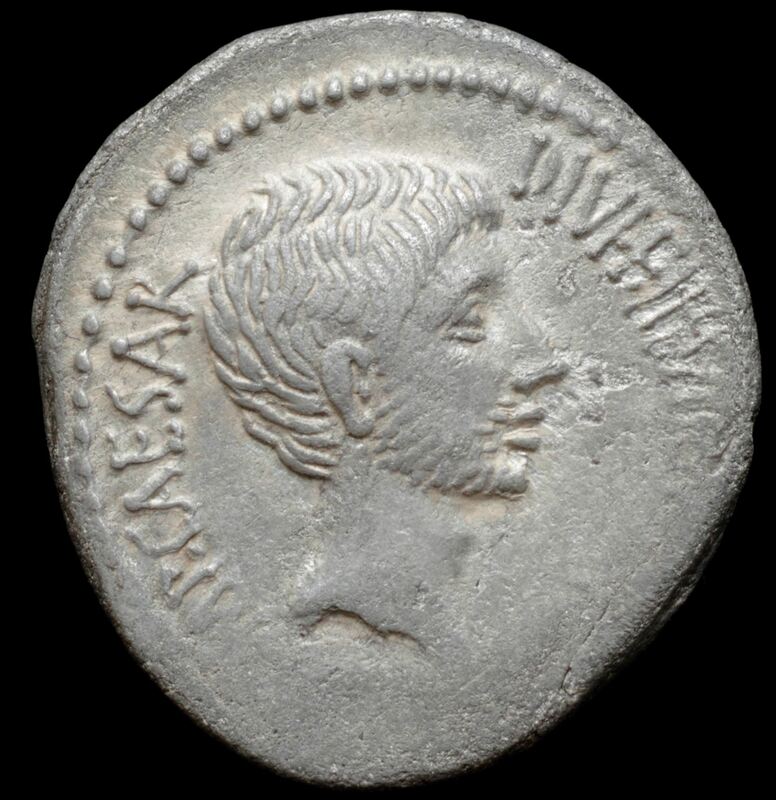 Obverse: CAESAR IMP•VII – Head of Octavian. AR Denarius Italy | Rome?